What is Integral Somatic Psychology? What is ‘embodiment’ in Integral Somatic Psychology? Embodiment refers to connecting all aspects of experience and all levels of the psyche to the physical body. In Integral Somatic Psychology, all aspects of experience and all levels of the psyche are always worked with in close relationship to the physical body. What is ‘somatic’ in Integral Somatic Psychology? The term ‘somatic’ is understood as having to do with the physical body. Its inclusion in Integral Somatic Psychology is to emphasize that the approach is grounded in the physical body. What is ‘integral’ in Integral Somatic Psychology? The word ‘integral’ refers to the act of bringing together under one framework different aspects of experience such as cognition and emotion and different levels of the psyche such as the physical body and the energy body. It also refers to the possibility of interpreting all therapies and healing modalities (somatic, energetic, psychotherapeutic, medical, social, and spiritual) from Western as well as Eastern traditions as special cases of the overarching Integral Somatic Psychology framework. This makes it possible for different therapeutic and healing modalities to find a place in the Integral Somatic Psychology framework and use it improve outcomes in their modalities through greater embodiment of those aspects of experience and levels of the psyche they happen to specialize in. Integral Somatic Psychology is integrative in its view that all therapies and all healing modalities are valid and, to a greater or lesser extent, effective in the respective domains they operate in. What is somatic or body psychology and psychotherapy? Somatic or body psychology and psychotherapy are therapeutic approaches that offer theories about how the physical body is involved in psychological experiences, and methods for working with the physical body to facilitate psychological processes. Examples: Reichian therapy, Neo-Reichian therapies of Bioenergetics, Core Energetics, and Radix, David Boadella’s Biosynthesis, Bodynamic Somatic Developmental Psychology or Bodynamic Analysis, Peter Levine’s Somatic Experiencing® (SE™), and Sensorimotor Psychotherapy® (SP). How does Integral Somatic Psychology differ from other somatic or body psychology and psychotherapy approaches? Integral Somatic Psychology offers an integrative theoretical framework in which every somatic or body psychology or psychotherapy system can be seen as a special case. Therefore, those trained in one or more modalities of somatic or body psychology or psychotherapy can benefit from additional theoretical insights offered by other systems on the role of the body in psychological experience and different methods they offer for working with the body. What benefits does Integral Somatic Psychology offer to those already trained in a somatic or body psychology or psychotherapy? Those already trained in a somatic or body psychology or psychotherapy will benefit from learning more about how the physical body is involved in generating as well as defending against psychological experiences such as emotions from a century of scientific research, knowledge that has not been well integrated into existing somatic or body psychology and psychotherapy traditions. Those trained in systems that focus primarily on the regulation of the physical body to treat stress or trauma such as body-based mindfulness approaches and Somatic Experiencing® (SE™) will learn how to work with the physical body more effectively when they work with experiences such as emotion, cognition, or behavior. And where applicable, they will learn how to regulate the body without destroying the very experience they are working with by excessively regulating it, a common weakness in many body-oriented approaches that are currently popular in mainstream psychology. Those trained in systems that are focused more on breaking down body defenses against psychological experiences will learn how to support the body to generate and contain psychological experiences and to regulate the body at the same time. In addition, if they are so inclined, practitioners of all somatic or body psychology or psychotherapy approaches can learn about the role the energies from the individual and the collective bodies play in the psychological and physiological regulation of a person; and how to begin to integrate these energies with the physical body into their work to improve outcomes. What basic and complex psychological experiences can be embodied through Integral Somatic Psychology to improve outcomes in any psychological or spiritual practice? Through Integral Somatic Psychology, one can facilitate greater embodiment of all basic psychological experiences: Awareness, perception, cognition, meaning, evaluation, imagination, memory, emotion, language, intent, verbal and non-verbal behavior. And, in turn, greater embodiment of all kinds of complex psychological experiences encountered in therapy or spiritual work: Attachment, relationship, connection; disconnection, alienation, and detachment; transference, counter-transference, and resonance; constriction, stress, trauma, dissociation, and fragmentation; lack of boundary, containment, control, and capacity to tolerate opposites; immaturity, symptoms, and pathologies; mindfulness, boundary, containment, control, and capacity to tolerate opposites; relaxation, expansion, integration, and wellbeing; maturity, symptom resolution, and health; individuation, differentiation, wholeness, religious or spiritual development, and enlightenment. Therapeutic modalities differ with respect to the emphasis they place on different basic and complex experiences and different levels of the psyche. For example, some emphasize cognition and behavior over emotion; and some work with alienation as having to do with a person’s spirituality as opposed to attachment patterns in the person’s family of origin. Integral Somatic Psychology can increase the effectiveness of a therapeutic or spiritual modality regardless of the aspects of experience and the levels of the psyche it specializes in. What are the necessary elements for working effectively with basic and complex experiences in the physical body? Earlier approaches to body psychotherapy focused on breaking down defensive barriers in the physical body to work with psychological experiences such as emotions. Current approaches to integrating the physical body into mainstream psychology focus primarily on its regulation, akin to psychiatry’s focus on regulation of the brain as the cure for every problem. In both efforts, what is missing is the adequate understanding of the role of the physical body in generating as well as defending against psychological experiences such as cognition and emotion, available from over a hundred years of scientific research. Working well with the physical body psychologically is not just about working with it physiologically in relation to stress or trauma. And working with stress or trauma or any other psychological experience such as emotion in the physical body is not just about regulating the dysregulation or reducing the stress in it, or completing incomplete movements, discharging high arousal, or expressing emotions forcefully. Successful embodiment of complex psychological experiences require a) the ability to work with all basic experiences (perception, cognition, memory, imagination, emotion, and behavior) in relation to the physical body, b) the understanding of how the physical body is involved in generating as well as defending against such basic experiences as well as complex psychological experiences such as attachment, c) the ability to regulate the physical body only to the extent necessary when working with basic and complex psychological experiences without destroying the very experience one is working with, and d) the availability of a variety of tools such as awareness, breath, and movement that can be easily integrated into different therapeutic or spiritual settings. What tools can be used to work with the body in Integral Somatic Psychology? The tools of awareness, intent, imagination, movement, breath, self-touch, resonance, therapist’s touch, bodywork, and energy work. The therapists choose a subset of these tools based on what they feel personally comfortable with and what they find appropriate to their licensure or practice setting. What are the four aspects of embodiment work in Integral Somatic Psychology? Embodiment of a complex experience such as love or power can be understood as having an enduring relationship to that experience in the physical body. Having an ownership of an experience or energy such as power is seen as involving four inter-related abilities. The ability to expand the body to expand the experience as much as possible or to support the experience in one part of the body by expanding another. The ability to tolerate the experience such as grief in the body. This requires the ability to understand and work through innate resistance to all unpleasant experiences and psychological resistance to the specific experience such as grief. The ability to understand or make sense of the experience. What is the experience? Is it hunger or longing? What context does the experience belong to? Longing for a partner or for God? Is it the longing for a partner in the present or a longing for the mother in childhood? What does the experience mean in the larger scheme of things? These functions usually fall under the umbrella of cognitive work. The ability to act or behave appropriately in relation to the experience. For example, power cannot be owned in the long run if it is not expressed or acted on. However, if power is expressed or acted on inappropriately, the feedback from the outside would sooner or later inhibit it in the individual. These functions usually fall under umbrella of behavioral work. Integral Somatic Psychology emphasizes the first two aspects of embodiment work in the training, expanding the body to expand and support an experience and building a capacity to tolerate it, aspects that are only minimally attended to in most therapeutic and spiritual approaches. That these two overlooked aspects of embodiment significantly improve outcomes in cognitive and behavioral work, the two other aspects of embodiment work, is clearly supported by scientific research presented below. 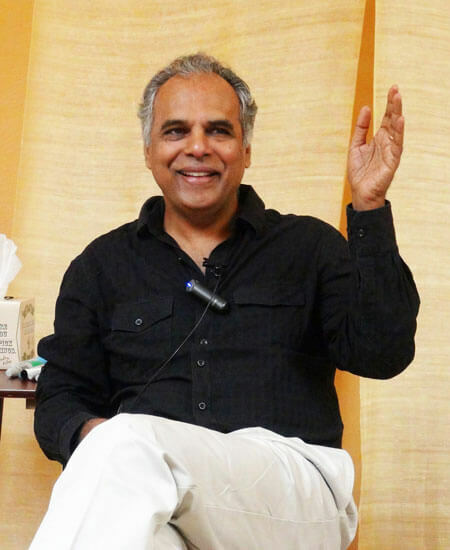 Dr. Selvam is the developer of Integral Somatic Psychology™ (ISP™), an advanced approach for improving outcomes in all therapy modalities through greater embodiment of emotions, based on scientific findings on the physiology of emotions as well as principles of energy psychology. ISP is a master training for experienced clinicians who wish to improve their effectiveness through greater embodiment of all experiences and all levels of the psyche in the physical body of the individual. Copyright © 2019 Integral Somatic Psychology, LLC. All rights reserved. Integral Somatic Psychology™, Integral Somatic Psychotherapy™, and ISP™ are registered and unregistered trademarks of Raja Selvam. Your privacy is important to us. We do not share, sell, trade or rent your personal information to unaffiliated third parties. Oops! Your browser has cookies disabled. If you’d like to place orders or register for a training you need to turn on cookies for this website in your browser settings.